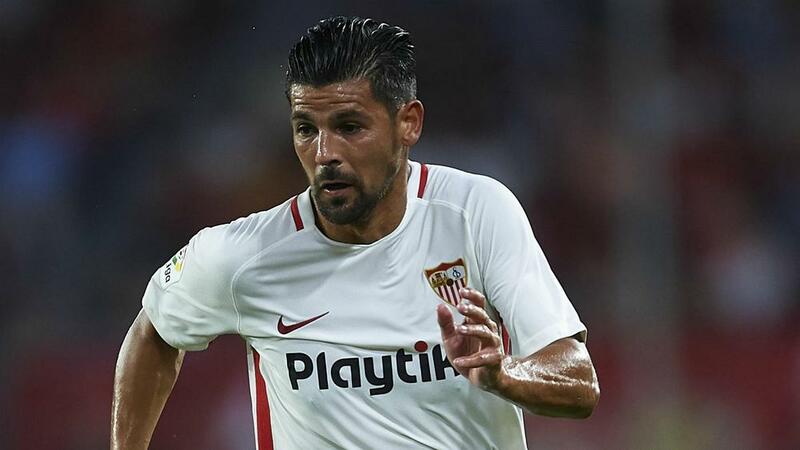 Sevilla have announced forward Nolito will be out for around three months after breaking his leg. The former Spain international has been on the fringes at the LaLiga high flyers this season, making only three league appearances for Pablo Machin's side. However, Nolito impressed with a goal and two assists in a 3-1 Copa del Rey win away to Athletic Bilbao this week. But his chances of earning either more minutes at Sevilla or a January move have now been dealt a severe blow. Sevilla confirmed in a statement on Saturday that Nolito broke his leg during a training session. The club said he "will be off for about three months, with surgical indication, as confirmed by the club's medical services". Sevilla, who have agreed deals for Barcelona forward Munir El Haddadi and Ajax youngster Maximilian Wober, are third in the table. Machin's men are next in top-flight action away to Athletic on Sunday in a repeat of their last match in the Copa del Rey.